Shuhei Yoshida aka YOSP .. The Interview! | ZQuestion Reviews? ← Do you want to Catch a Demon? Demon Gaze The Review! Interview did not take place in a Twitter DM.. But it is easier to just type it out as if it did.. Enjoy? @ZQuestion – Hey! Are you ready for the interview? @ZQuestion – Hello Mr. Yosp.. Lets get this out of the way.. “The Last Guardian”.. How is “the Never Ending story” going? Does Falcor look better now on the Matrix head set thing? @yosp – Your funny *explicitly deleted*. My Twitter tag is @Yosp, My name is Shuhei Yoshida. @ZQuestion – Wait.. How did you know my real name… Your name is Yosp and that is final! Wait.. Wait… Are you me? Am I Yosp? @ZQuestion – Anyways.. Back to the Interview.. How is Home going? @yosp – Well we just launched out of beta and added Trophy support. Attendance has risen over one million people. I also seen that was your 1666 trophy supported game? @ZQuestion – I was asking about home life.. Your family but that is fine…. And Yes.. It was my 1666 Trophy supported game played.. So where is is my trophy case in home.. I will never forget that promise Yosp! @yosp – My family is doing fine and the twins are growing up so quick. @yosp – You are actually part of the reason why we never introduced the trophy case to the public. It would be a strain on the console and servers. Not even the power of the PlayStation 4 could handle the work load. We actually tried once and it crashed the PlayStation Network. @ZQuestion – So you are saying.. I have crashed the PSN.. With the amount of games I have played.. I know it would crash other consoles when doing a compare.. but my lord.. That is brutal.. No wonder you guys don’t like me..
@yosp – That is not true. We love everyone that uses a PlayStation Console. @yosp – Yes, That is the one. Have you watched it yet? 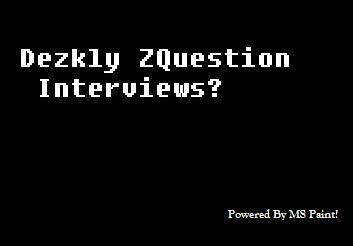 @ZQuestion – I do have a question for you about the interview.. You might of answered it in the interview but to save time.. I would rather just ask you. @ZQuestion – Did you at any time make Cerny take off his shirt.. Then you Put it on.. Then calmly walked around with a PS4 controller and a copy of “Knack” while listening to “Damn it feels good to be a gangsta”??? @yosp – I am excited for E3 and excited to meet new people and visit with old friends 😉 BEYOND!!! @ZQuestion – Well It has been really nice talking to you Mr Yosp.. I will let you get back to work and twitter.. Have any last closing words for the interview? @yosp – Yes but for the Japanese Readers. @ZQuestion – Well the floor is open.. Go for it.. Everyone else reading this right now.. Google translate what Yosp is about to drop.. Maybe it will be something about games? @yosp – あたたたたた ずっきゅん! わたたたたた どっきゅん! ずきゅん! どきゅん! ずきゅん! どきゅん! ヤダ! ヤダ! ヤダ! ヤダ! NEVER! NEVER! NEVER! C! I! O! チョコレート チョコレート チョ!チョ!チョ! いいかな? でもね ちょっと Weight ちょっと最近 心配なんです だけど チョコレート チョコレート チョ!チョ!チョ! いいかな? でもね ちょっと Wait ちょっと待って チョ! チョ! チョ! あたたたたた ずっきゅん! わたたたたた どっきゅん! ずきゅん! どきゅん! ずきゅん! どきゅん! マダ! マダ! マダ! マダ! NEVER! NEVER! NEVER! @ZQuestion – Wait.. What.. Your crazy for that one.. He has a website.. Just go to any Playstation.com sites.. He does not follow me.. I follow him though.. Mad World..
Disclaimer! This Interview never happened… This is just a parody.. For Fun.. A Joke? Don’t you like a good laugh time to time? Those song lyrics though..
Posted on April 25, 2014, in Blah Blah Blah! and tagged PS3, PS4, PSN, Shuhei Yoshida, Sony, Twitter, Vita, yosp. Bookmark the permalink. Leave a comment.